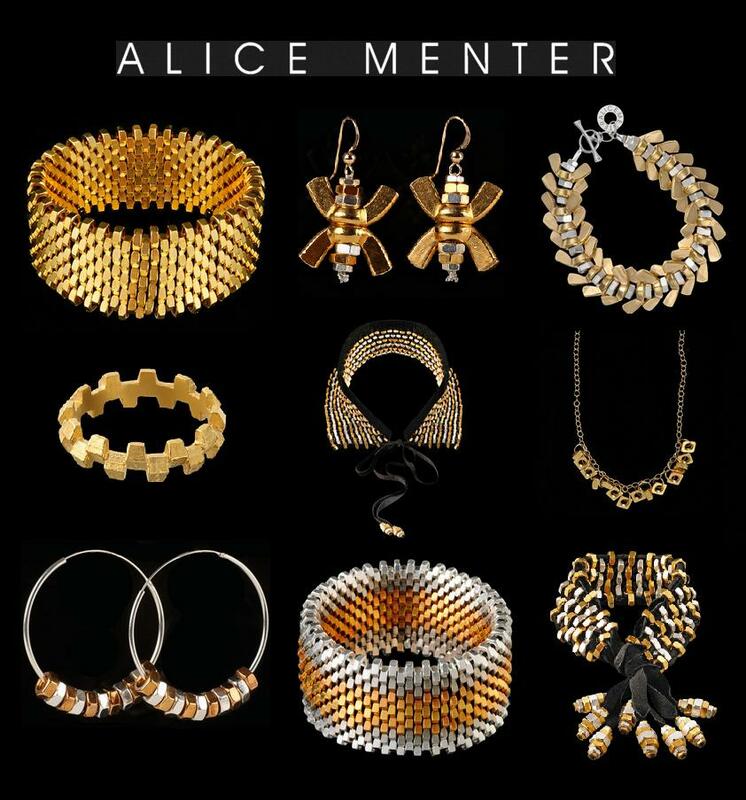 Alice uses industrial bolts, nuts, wings plated in gold and silver combined with suede and rope to create her bold designs. I love the simplicity yet powerful impact of each of her pieces. Check out her website here.